Google-like Search Results - How to make in Wordpress? By default, WordPress simply displays the title of the entry and the 55 first words of the text. Very often this piece does not contain the words that the user expected to see, so he has to open the page of each entry and look for the context in which the sought expressions were found. 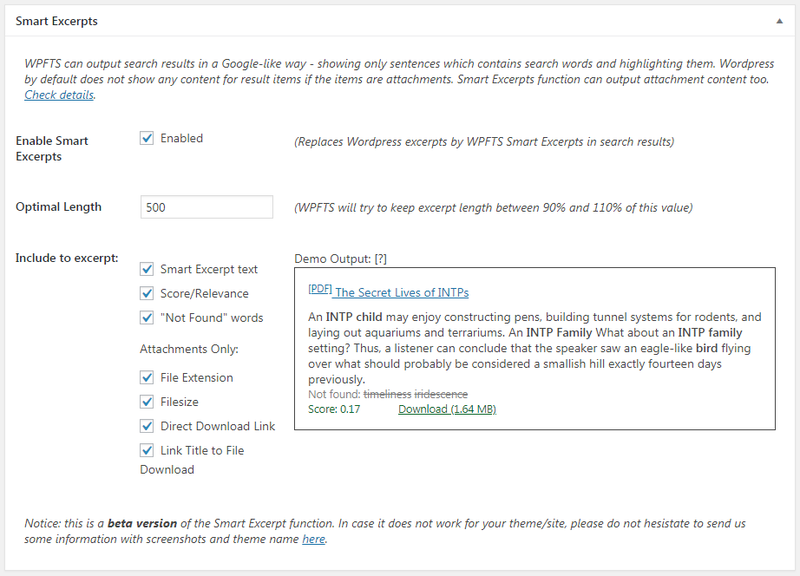 We used several weeks to implement and test the functionality of Smart Excerpts, which we needed for a long time, and we were asked by many owners of the plug-in – to output search results exactly as Google does. I’m not sure that it turned out exactly the same, but the result is obvious: it became much more convenient to view the search results. 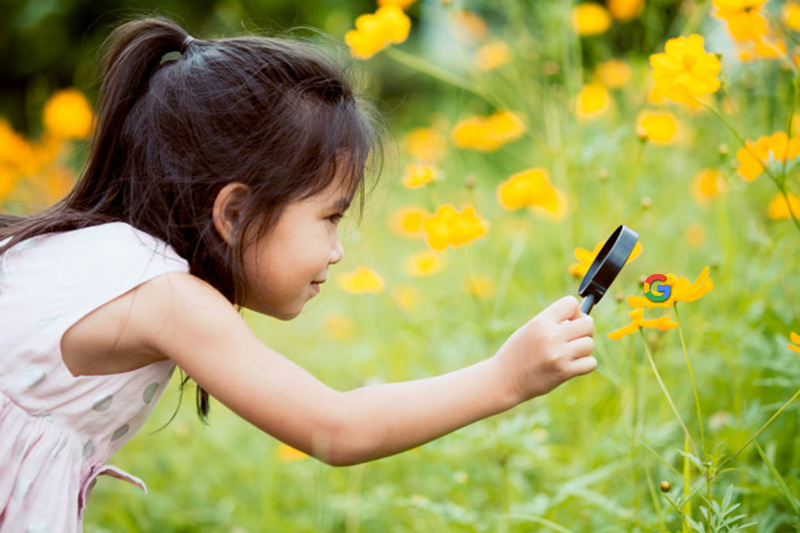 Now the short contents of each found post consist of sentences that contain the words the user searches for. These words are highlighted, and the summary of the relevance of the post in the list is displayed under the short contents. In addition, excellent news for those who use WPFTS Pro to search for files by their text content. The fact is that WP by default does not display any content for “attachment” type posts and in search results, such records look depressing. With the new Smart Excerpts feature, your users will see the short contents of the file (its length you set yourself in the settings) with highlighted words, just like if they were ordinary publications. For files, their physical size and a direct download link are also displayed. You can add a file type to the header (like Google does) and add a direct download link to the header. WPFTS Smart Excerpts output. Thanks! Much better now. You can try the new feature right now – the version of the plugin WPFTS Pro 2.20.72, which contains this functionality, is already available for updating. The free version of the plugin is also updated. We also have a detailed documentation for the new function. To our great regret, not all themes use the function get_excerpt() to display the short contents of the post in the search results, so for these themes, Smart Excerpts will not work correctly at the moment. But we are doing our best to find the right workaround for solving this problem. If you have such a problem or some other problem related to WPFTS, please send us a screenshot of the problem with the name of used theme and a link to the site, this will help us make the plugin even better and more useful! This entry was posted in WPFTS Blog and tagged better search results, fulltext, google-like search, search, smart excerpts, word-based, wordpress. Bookmark the permalink.